Established in 1953, Alan de Maid are experts in selling residential houses in South East London, Bromley and Kent, where our 7 central offices are strategically placed in prime locations for the London commuter market. With years of sales and lettings experience under our belt, we pride ourselves on offering the best of both worlds for buyers and sellers across the property spectrum. Whether you’re searching for a first time buyer flat or a country property with acreage, Alan de Maid will deliver a dedicated and personalised service. Anthony Jones is a commercial insurance broker delivering professional, yet personal, insurance advice through an experienced team of professionals. Local - Safe - Secure COMPETITIVE RATES ​ On parcel services we can offer competitive rates with overnight, timed and Saturday morning deliveries within the UK. We also offer free online tracking of your parcels so you can check on their rapid progress through our system. With pallets we can offer competitive rates on overnight, economy (up to 3 working days), timed, booking in service and Saturday morning deliveries within the UK. SECURE TRANSPORTATION ​ Both parcel and pallet services offer full track and trace so you can be assured we always know exactly where your freight is as it progresses through our network. Signatures (Or PODS) can also be obtained instantaneously for all Same day, next day & International deliveries. FAST AND FLEXIBLE ​ We can also offer same day deliveries subject to negation and practicality. 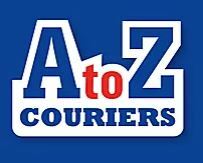 We at AtoZ Courier Services pride ourselves on our flexibility and quality of service and so if you have unusual or specific requests with regards to a delivery feel free to contact us or fill out our Quick Quote form and we will do our level best to accommodate you. We can cater for all of your international distribution requirements both Import & Export via our partners UPS offering both a Air Express Saver services along with a full European road service carrying single items up to 70kg and palletised options so as to provide you the very best in value for money. FULL SERVICE RECOVERY Choose to send you goods on any of our timed services listed below and should there be any delays at our distribution hub then upon request we will endevour to try to delivery the very same day free of charge, we are the only UK overnight carrier to offer this service recovery option. Weekday before 9am Weekday before 10am Weekday before 12pm Weekday before 4pm Saturday before 9am, 10am or 12pm Upgrades available to fragile services and security services. Timed deliveries are perfect for fresh produce and perishable items, as well as time-sensitive consignments such as travel documents and medical supplies. Items are scanned directly into transportation cages for accuracy and security. We like to think when you deal with us, your experience will be uniquely Bellamys Ltd - London, something you’d tell your friends about. We’re proud of our Lee connections and strive for excellence in sales, service, finance, delivery and every aspect of your engagement with us. We have a real ‘can do’ attitude which has impressed hundreds of customers already. Put us to the test with your next purchase or service. All of our work is of the highest standard using the best materials available to keep the finished product looking good for many years. Chartered Accountants & Business Advisors. We have been providing businesses throughout East Yorkshire with qualified accountancy and taxation advice for over 20 years. From business start-ups to established companies our team will provide you with the advice and expertise needed to assist in helping to drive your business forward. Cannon Cars were formed in 1989 and are a family run business which prides itself in offering an extremely high level of service at very competitive rates. Cannon Cars are the largest Private Hire / Mini Cab / Courier Company in the local area and among the largest in the south east of England. You can book by ringing our Call Centre, using our Online Booker, by Fax or by using our iPhone and Android Booking Apps. One of the South East’s leading entertainment venues, producing its own works and showcasing the best West End and touring productions from the UK. Clarkson Wright and Jakes Solicitors and Notaries, based in Orpington. Based in Bromley, and working throughout Kent and London, we are one of the largest house moving and commercial removals companies in the South East. A family run house removals business, we have gradually expanded over the course of the last 38 years to offer domestic and commercial removals and storage services that are capable of carrying out the largest projects, while retaining the personal touch that has made us so popular with our customers. Chartered Accountants and Registered Auditors. We are the South East’s Premier Specialist Vehicle Locksmiths. Here to provide you with a hassle free and efficient service to deal with any car key or lock related problems quickly, and get you back on the road straight away! Our aim is to help you. We can either offer our services from our workshop in Sevenoaks, Kent, or if you need us to come to you, we can also provide all our services on site at any location across Mid/North Kent and South London. Whatever we can do to help, whether it’s repairing a key making new ones or repairing a door or ignition lock – we’re here at your service! HazleMcCormackYoung LLP is a chartered architectural practice. HPS Heating Plumbing Supplies started trading in October 2001, and now has a network of 34 branches with a turnover in excess of £53m in 2015. With our branches open from 7.30am to 5.00pm daily and 8.00am to 12 noon on Saturdays we offer our customers a collect and delivered service second to none. We have a fleet of 36 delivery vans offering the option of timed or early next day and, where possible, same day deliveries that the trade can depend on. We deliver across all of London, Kent, Surrey, Sussex, Hampshire, Berkshire and Dorset. We offer a full range of signs and services with a fast, efficient and responsive service. No job is too small or too big. Free Advice offered. Jackson is a regionally structured civil engineering firm with national capabilities. Our no-nonsense approach to work means that our clients keep coming back because they can rely on us to get the job done on time and on budget. If we would like to discuss more, contact Rupert Chitty on 07714 851137. We have over 30 years experience in the water industry, including an overseas lecturing post. We listen carefully to our customers requirements informing them of all the various options. This is particularly important for customers having a softener fitted for the first time. We specialise in difficult and awkward installations and give an unbiased and honest view of having a softener installed. All of our softeners are carefully chosen for their reliability and company back up. Makers of Kentish Blue and Kentish Bluebell cheese as well as Kentish Free Range Milk and Cream. We are a small, family run dairy farm in the heart of the beautiful Kent countryside, producing delicious award winning handmade cheese, along with fresh pasteurised milk and cream, using milk from our own dairy cows. Our Kentish cheese selection boxes are made up to order and include our own blue cheeses as well as other artisan Kentish cheeses from Ellie's Dairy and the Cheesemakers of Canterbury, and locally made chutney, making one of our cheese boxes the perfect gift! Our Kentish Free Range milk and cream is available from farm shops around Staplehurst or through our local distributors. Please get in touch for details of where to taste. Established over 30 years, our friendly team provide a can-do attitude to all of your printing needs, whether litho or digital. We wouldn’t be a full print service company without providing customers with a full in house design service. These include: full corporate branding regardless of business size, logo creation, stationery packs and website creation. ere at Lowfields we get extreme satisfaction knowing that our service is second to none. In order to keep our prices competitive we have grown our company to service all your needs by establishing our own extensive Design, Printing and Finishing departments. This has numerous benefits to our customers in cost, and offering tight control over deadlines. If its quality you want then we have a strict quality control policy which monitors the products from start to finish. We also have our own bright design department who can help you with your designs or ideas. they can give advice as to how your product could look or indeed should look. Of course the final say is yours !! We have a full list of products at your disposal ranging from Leaflets, Magazines, Booklets and Brochures, Business Stationery, Presentation Folders, Posters and Pads , the list goes on. Magic at Events - bringing a little magic to your world. Do you feel your world is lacking that certain little something? Are you and your friends/relatives/colleagues just a tiny bit jaded? Let Stuart Kelly of Magic at Events bring a little magic into your world. Experience excitement, bafflement, wonder and joy at seeing seemingly impossible events happen right before your eyes! There are definitely no camera tricks because there’s no camera. There’s only a couple of feet (for those of us less than a certain age, that’s a little over half a metre) between you, the magic and “How DID he do that?” If this idea tickles your fancy, or anything else for that matter, get in touch and see how Stuart can bring a little magic into your world. SUPPLIERS OF PLANT AND TOOL HIRE TO CONTRACTORS AND DOMESTIC USERS IN HULL AND EAST YORKSHIRE Megaplant supply non operated plant hire to builders, civil engineering contractors and the general public in the Hull and East Yorkshire region… it truly is a one stop shop for all your plant requirements. Megaplant started life in the early eighties in premises on Spring Bank West in Hull. In its early days it supplied equipment used in the construction of the Humber Bridge and the Hull section of the A63. Gradually it developed an enviable reputation for the supply of small and compact plant to local builders, Civil Engineering Contractors and Local Authorities some of whom have been customers ever since the start of the business. Proud suppliers to East Riding of Yorkshire Council. During the early nineties it expanded by taking over Milton Plant based at Wyke Street in Hull where it is presently based. Micron supply and install UPVC and Thermal Aluminium, Double Glazed & Triple Glazed windows and doors in Kent, Surrey, South London and the surrounding areas. We specialise in colour and dual-colour windows and doors, in particular our unique high-end Thermally Broken suite of products. ou’re in Safe Hands As an established waste management company we have been serving the construction industry, local communities and businesses for over 40 years. Based in Orpington and Greenwich, we are perfectly located to serve South & South East London, North Kent & East Surrey. Professionalism is paramount to us and from your initial contact with our company you can feel safe in the knowledge that you are treated with the importance and respect that every customer deserves. 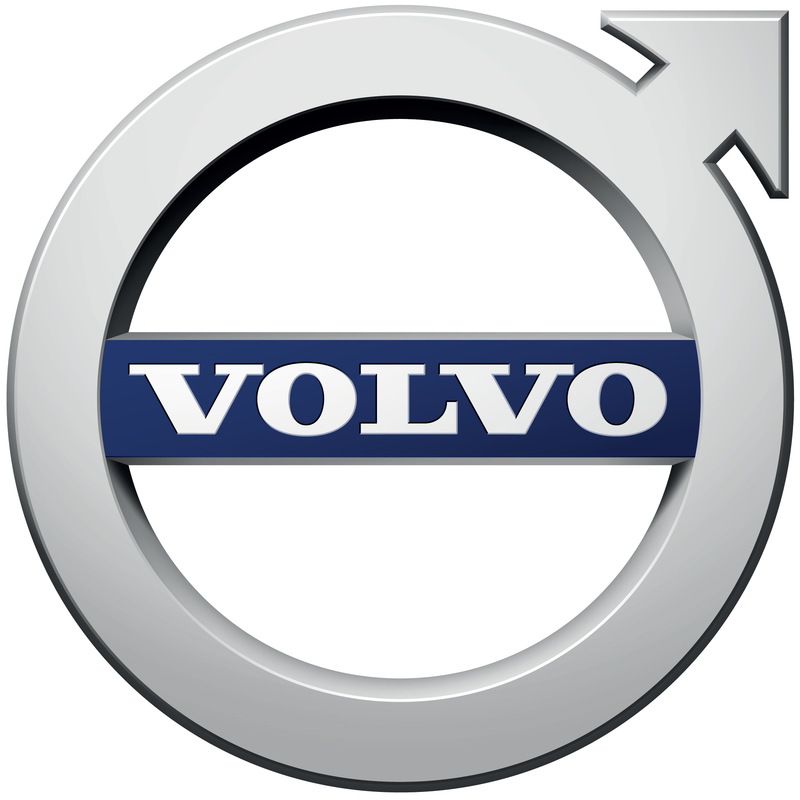 Offering you an affordable and effective vehicle service in Orpington. CAR RESPRAYS VEHICLE REPAIRS CAR SERVICING If you need your car resprayed, we can help. Ensuring that there are no major faults in your car. When your car has been in an accident, we can get it repaired quickly and roadworthy in no time. Polhill Garden Centre is a family owned business with over 50 years of gardening experience. Polhill operates two hugely successful Garden Centres, one in the South East near Sevenoaks in Kent (M25 Junction 4) and the other at Coton Orchard in Cambridge (M11 Junction 13). Click here for directions A great place to meet up with friends and family with Restaurants at both centres where visitors can relax and enjoy light snacks, breakfasts, lunches and afternoon teas. We believe everyone should be able to keep fit and healthy. That's why our goal is to bring you world class fitness equipment at an affordable price. I’m Lynn, an Orpington photographer with lots of experience photographing newborn babies, children and families. I’ve been doing wedding photography for over 25 years and have worked with so many great people. As a photographer I’ve covered lots of celebrations, events and parties. More recently I’ve been doing a lot of property photography, architectural photography, corporate head shots and website images. I can turn my hand to sport, bands and live music gigs. I’m lucky that my daughter helps me if I need a second photographer. Established in 1698 in Faversham, Shepherd Neame is Britain's oldest brewer. The Bricklayers Arms is a delightful lakeside public house, comprising three terraced cottages in a charming Kent village. The pub is situated at the end of the picturesque Darent Vally Walk. The sign represents Sir Winston Churchill, an expert bricklayer and whose home was at nearby Chartwell. We pride ourselves on getting involved with the local community and providing a warm and friendly welcome to our visitors. We serve Harvey's Best Bitter straight from the barrel, a fantastic range of wine and beautifully home cooked British pub food. Located opposite the Chipstead Sailing Lake, we are perfectly positioned for a warm bowl of soup after a walk, a summer cider on the green, or a comforting meal in front of our real, open log fire. Established in 1999, The Jack Petchey Foundation gives grants to programmes and projects that benefit young people aged 11-25. The Foundation is eager to help young people take advantage of opportunities and play a full part in society. The major focus of our work is the Achievement Award Scheme. The Foundation focuses on London and Essex. Since it has been established the Foundation has awarded grants totalling over £65million. Via IT Services Limited is an IT services company based in Orpington. We offer IT services solutions to small to medium sized companies throughout London and the South East. We supply and manage web domain, email and VoIP services, as well as offering consultancy on IT support and other project work. OUR VISION Through the power of rugby every child and young person, no matter what their background has access to the same opportunities. OUR MISSION To positively transform the lives of children and young people with a disability or facing disadvantage across the UK and Ireland through the power of rugby. OUR VALUES We are inspired by our rugby roots. Passion, Integrity, Teamwork and Fun drive everything we do. WHO WE ARE Wooden Spoon is the children’s charity of rugby. From sensory rooms, specialist playgrounds and sports activity areas to respite, medical and community care, we fund around 70 projects each year that support disadvantaged and disabled children. Since our founding in 1983, we’ve distributed in excess of £24 million, helping over 1 million young people.